The most convenient and best value function venue in the city. We are centrally located, affordable and ready to go the extra mile to make your special occasion a memorable one. A convenient and excellent value function venue. We are centrally located with safe, private parking. 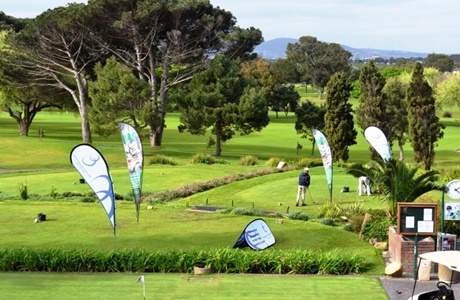 We are always on hand to go the extra mile to make your special occasion a memorable one – whether it’s a golf day, a corporate function/ meeting, a private celebration, a treat for the family or to watch sport with mates – you’ll receive our warm Rondebosch welcome. We cater for up to 140 guests (or 100 guests with a dance floor) in a relaxed, informal but professionally-managed venue. Enjoy your next big celebration at Rondebosch Golf Club. We cater for up to 120 guests in a relaxed, friendly and service-oriented environment. Fields from 30 to 128 players (summer); shotgun starts available (minimum 80 players). The upstairs venue and deck or the downstairs clubhouse area and verandah are available. Catering options include selections of: snack platters, buffets, our famous braai or spit roast – a variety of menu options is available. Centrally located and private with secure parking and free Wi-Fi. Let our friendly staff turn your function into a success. Full AV system with drop-down screen, projector and microphone.